Zena & Yan will be tying the knot in November but before they say 'I-do' we scheduled in an Engagement Session in the city. 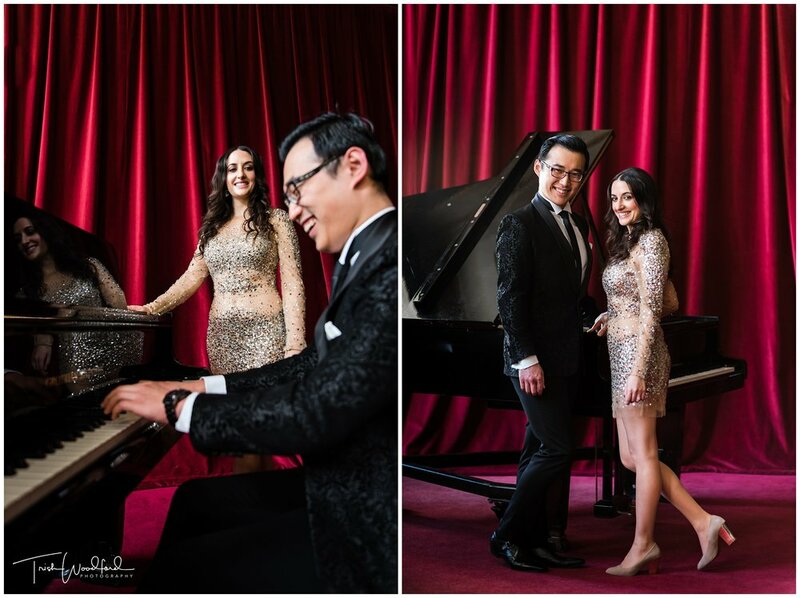 This gorgeous couple booked His Majesty's Theatre to use for their photo's...it was such a great opportunity with lots of wonderful locations to use. After shooting inside the theatre we headed out onto King Street to finish off the session in front of Tiffany's. Zena & Yan definitely bought their 'A' game, looking incredibly stylish and who knew Yan could actually play the piano! Very excited for their November wedding day!